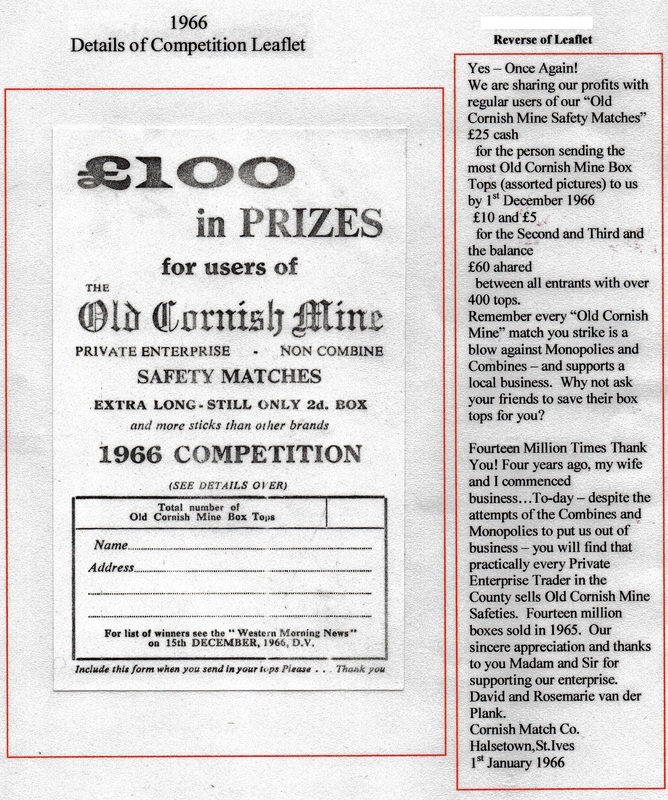 Many companies run competitions for their customers – to raise their profile, to create publicity and of course to generate sales. 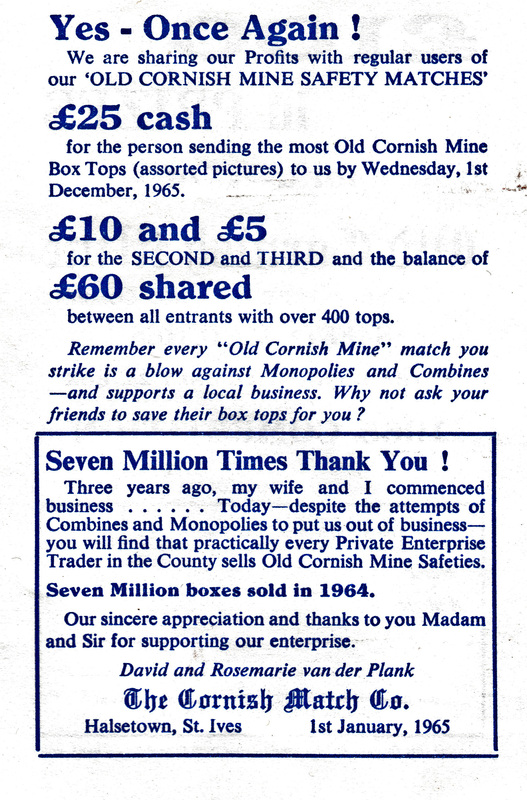 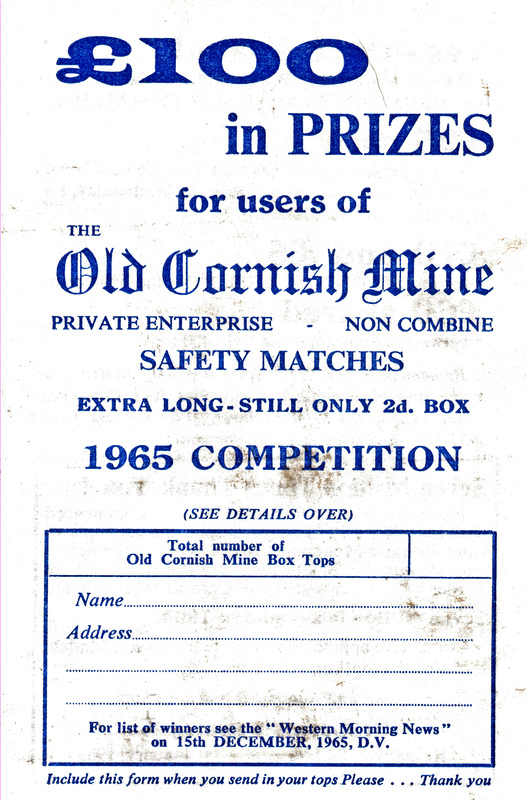 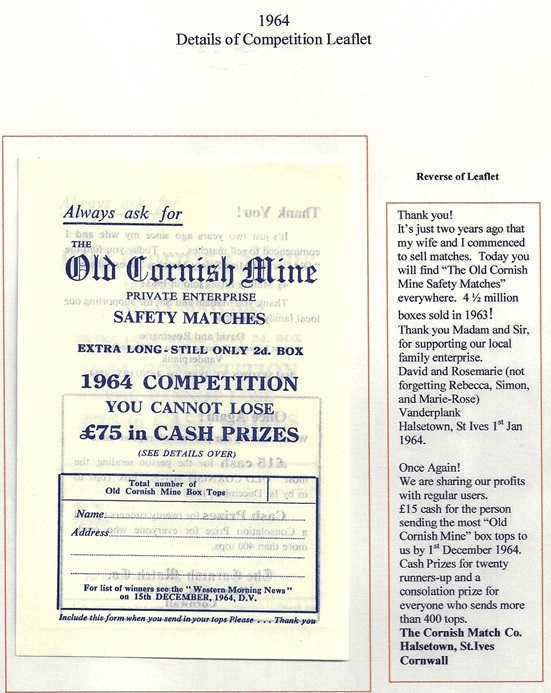 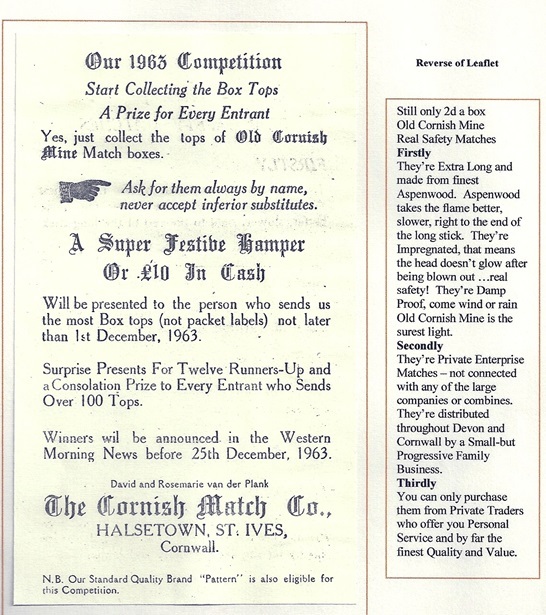 Cornish Match Company was no different, and during the mid 1960′s they ran successful competitions using Old Cornish Mine matchboxes. 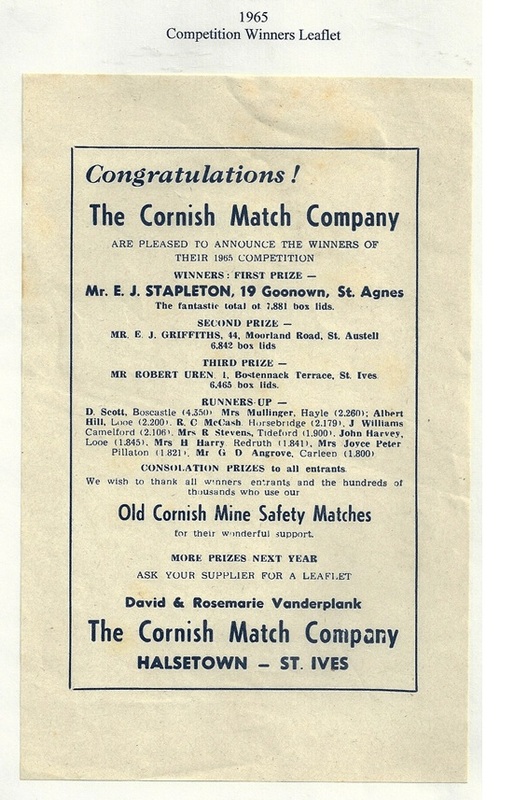 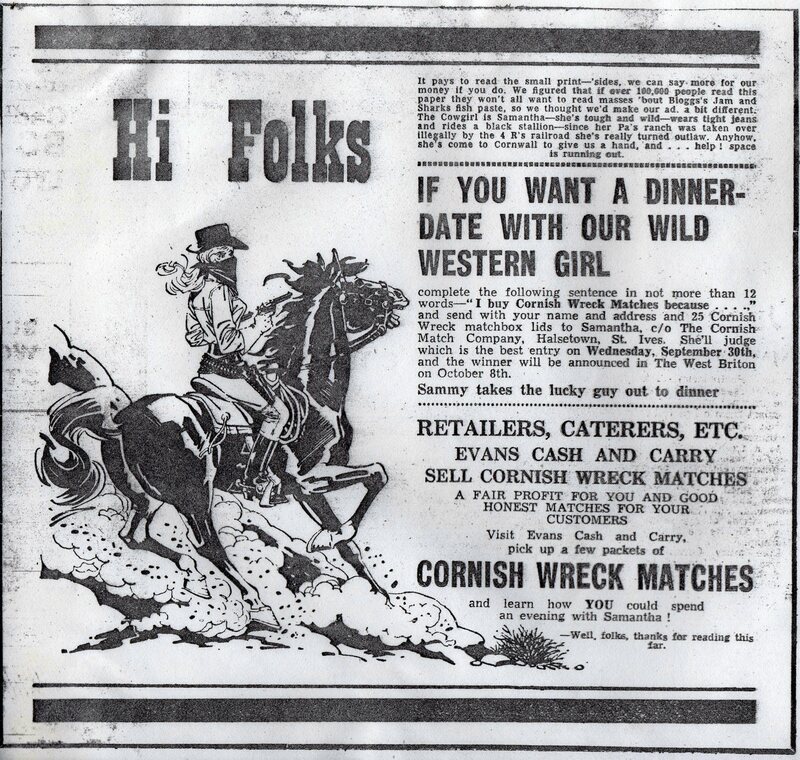 Also illustrated is a Cornish Wreck competition which appeared in The West Briton and Royal Cornish Gazette on 24 Sep 1970.